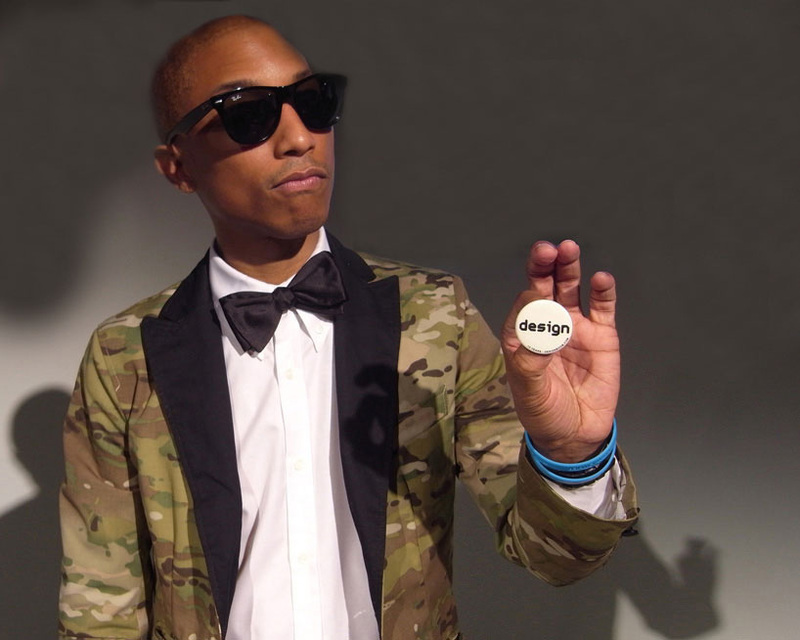 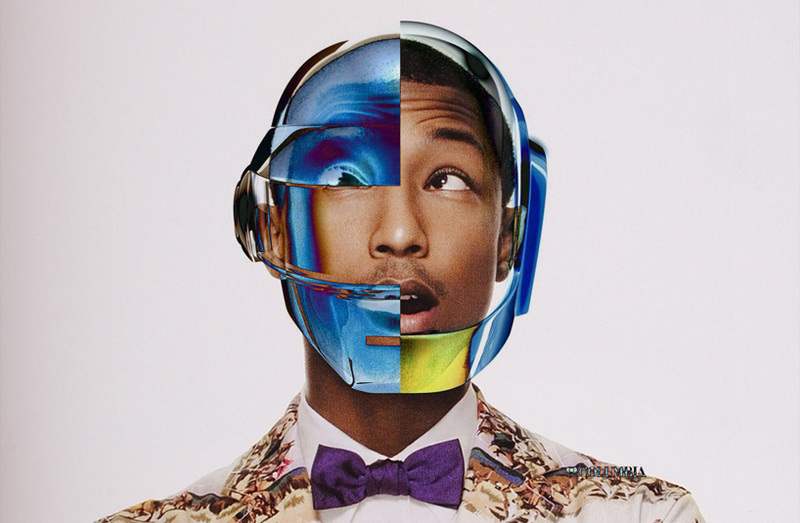 Pharrell Williams has reunited with electronic music masterminds Daft Punk and filmmaker edgar wright to present the music video for the track ‘gust of wind,’ off his latest album G I R L. Of course it wouldn’t be a pharrell masterpiece without him and daft punk challenging the laws of gravity; throughout the clip he walks through a vibrant forest with groups of interstellar gymnasts performing choreographed maneuvers while two enormous stone helmets hover around him before final takeoff. 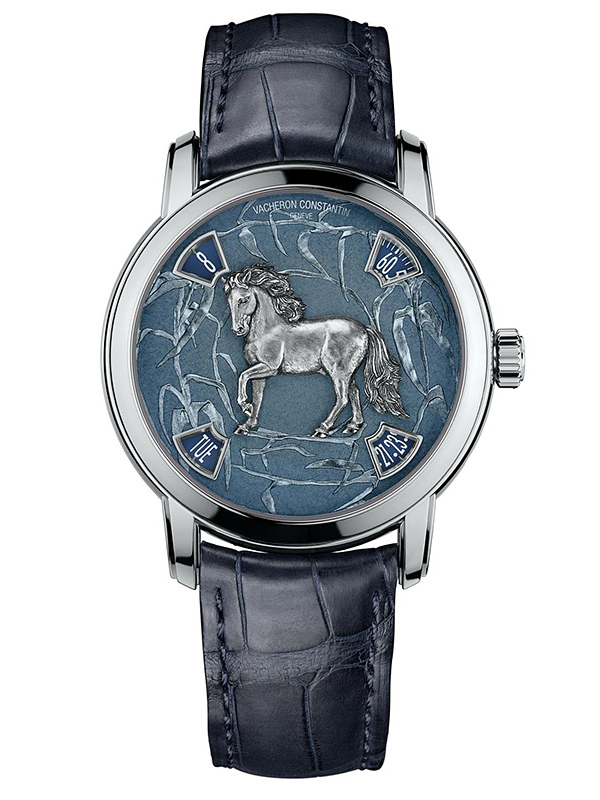 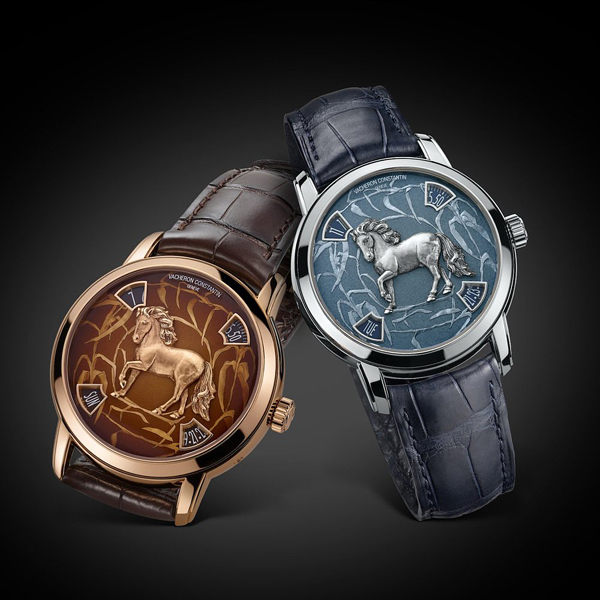 Thanks to a high-end Calibre 2460 G4, the Legend of the Chinese Zodiac watch displays time and date in a truly unique way. 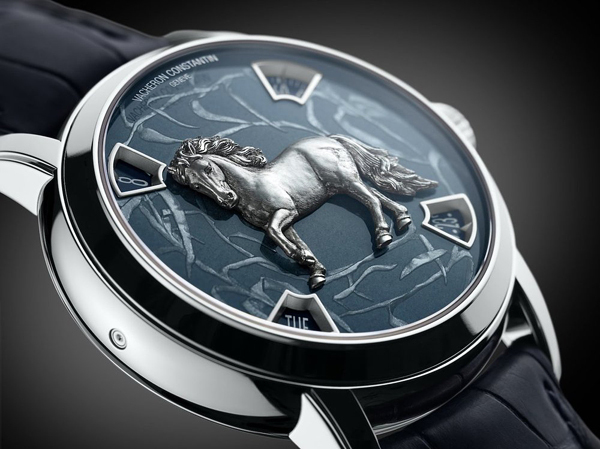 Instead of using hands, this great timepiece features four apertures, placed around the central motif, to reveal discs that show hours, minutes, day and date. 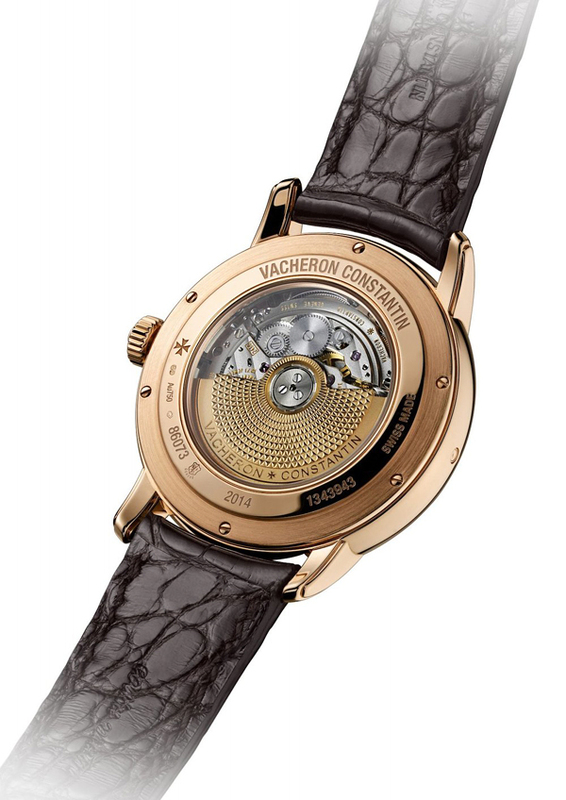 Visible through a sapphire crystal case-back, the self-winding movement incorporates a 22 karat gold oscillating mass, decorated by dynamic geometrical motif based on the shape of the Maltese Cross. 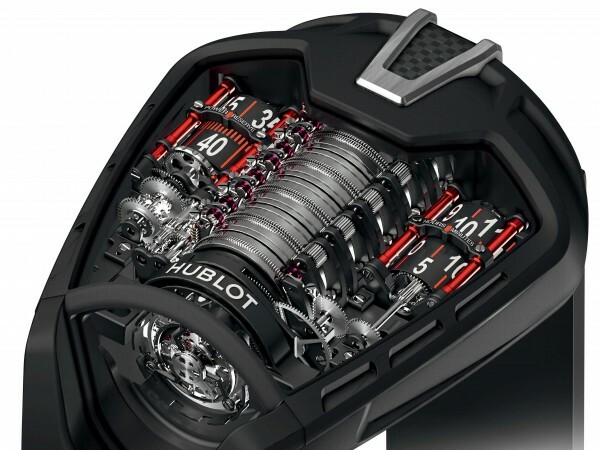 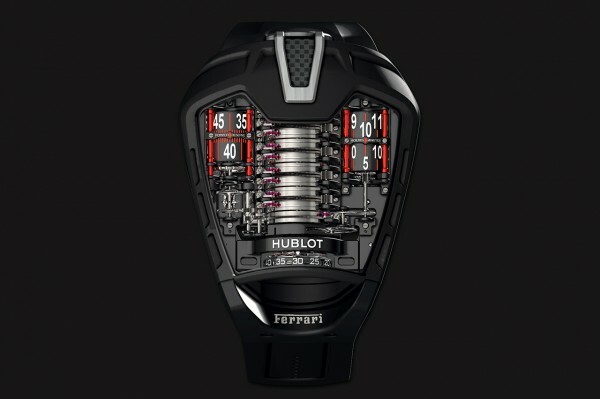 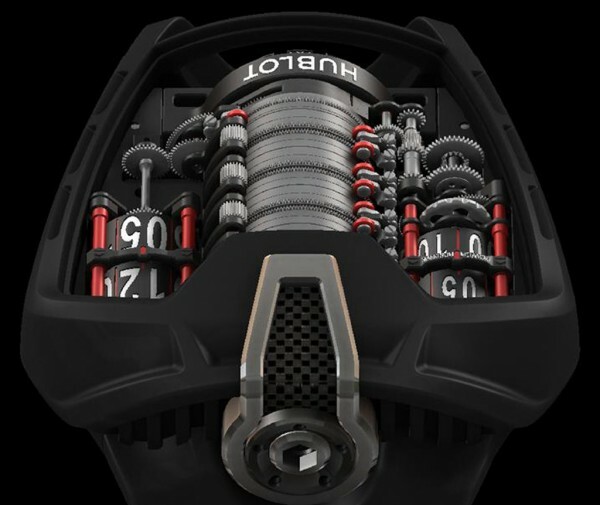 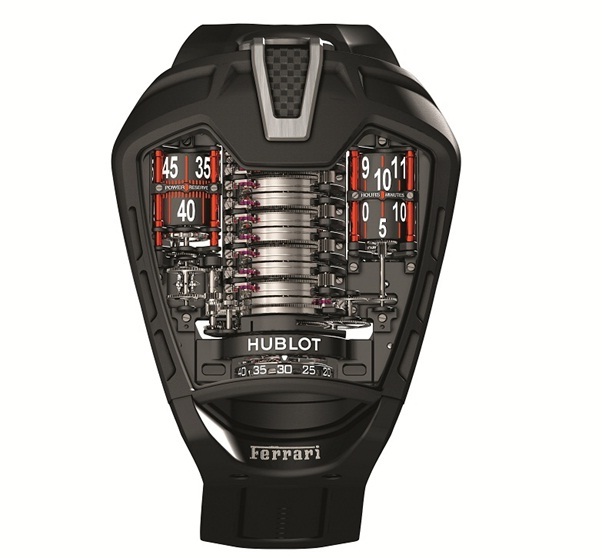 This mechanism operates at the frequency of 28,800 vibrations per hour and ensures around 40 hours of power-reserve. 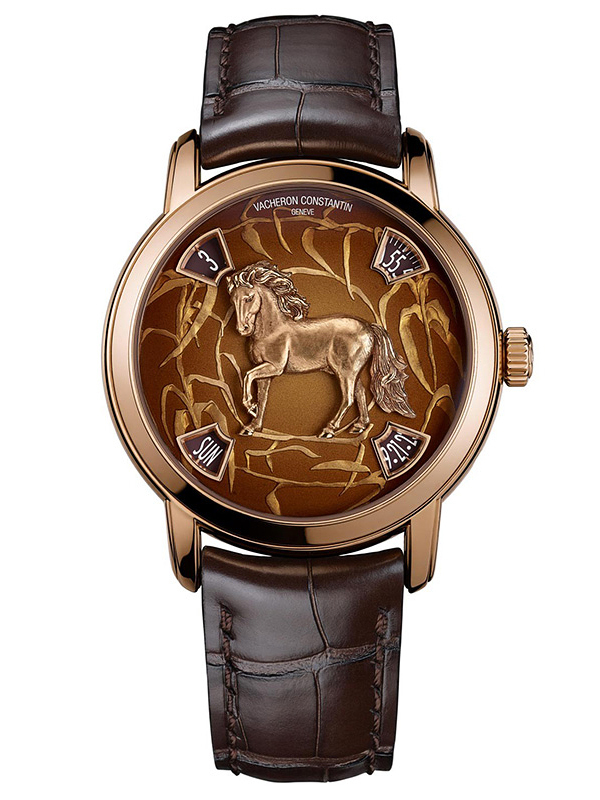 Version with a rose gold case features a brown dial and a matching stylish leather strap, while the titanium version comes with a blue dial and a black leather strap. 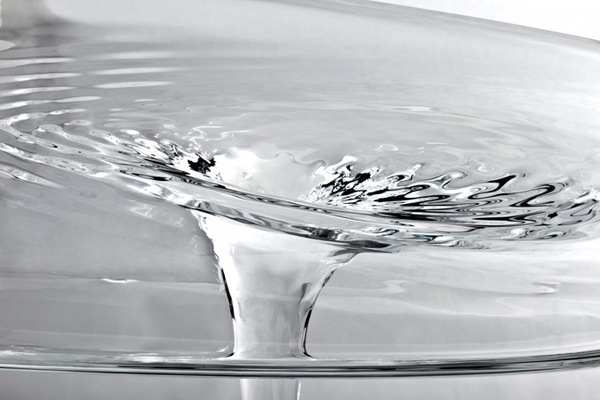 Both cases come with the diameter of 40 mm and have nicely polished finishes. 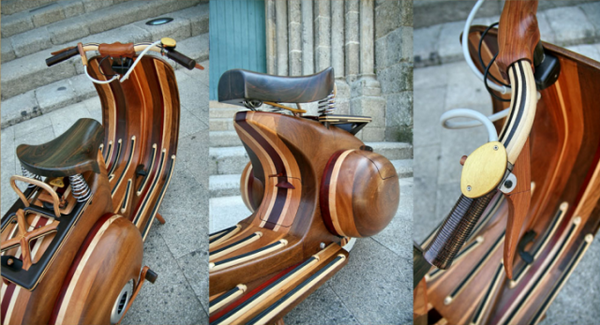 The following masterpiece was created by Portuguese carpenter Carlos Alberto. 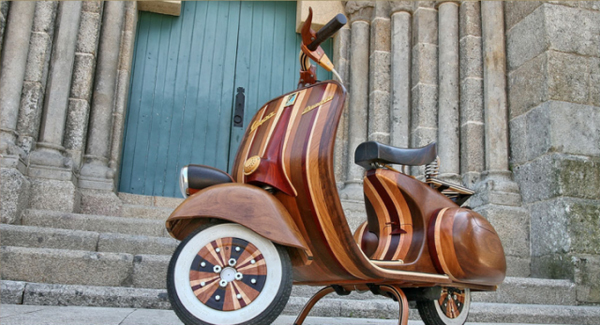 Called “Vespa Daniela” it’s completely hand-crafted scooter, complete with Napolitan-striped paneling and spinning roulette wheels. 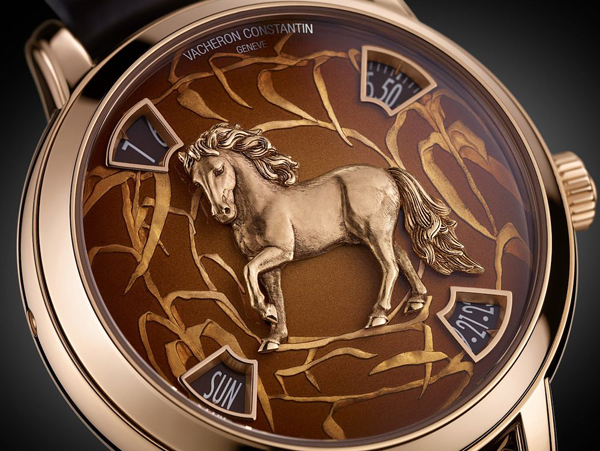 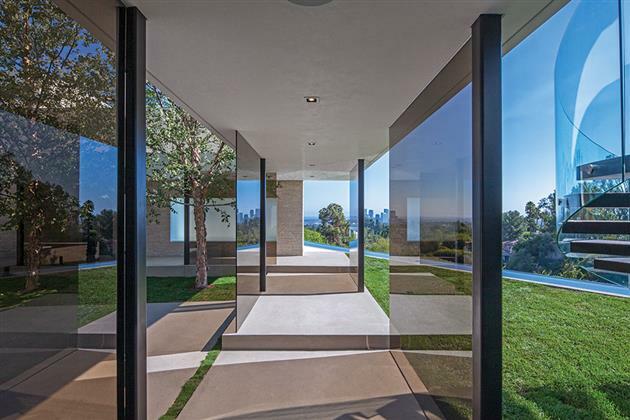 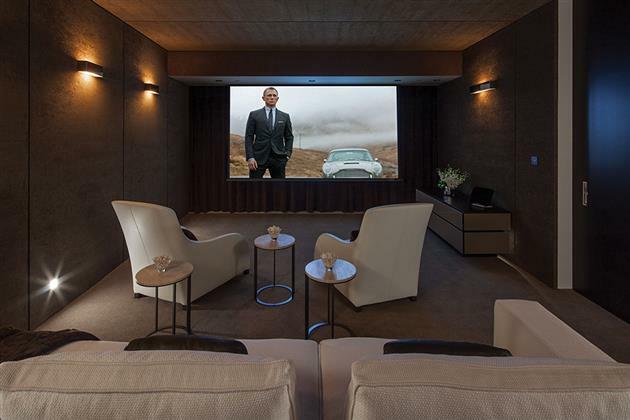 It definitely takes a lot of time to complete such a work of art. 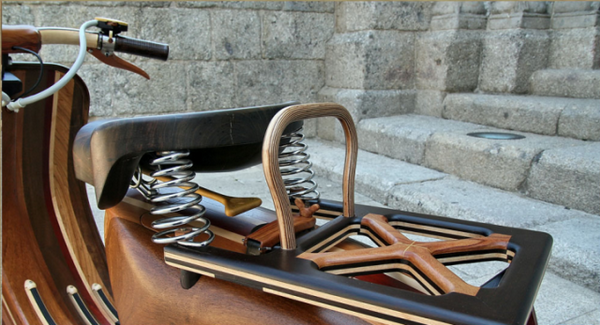 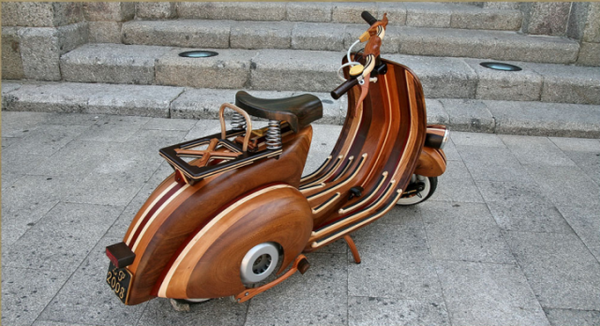 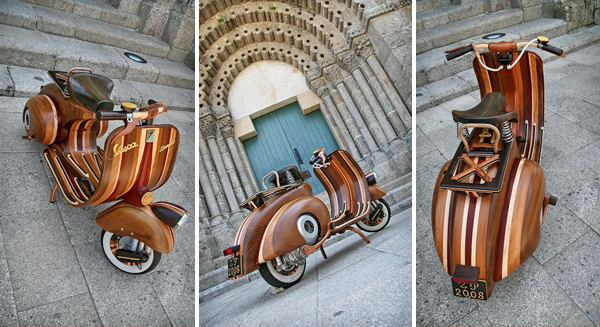 A forgotten Vespa in Carlos Alberto’s garage was the stimulation to create this masterpiece. 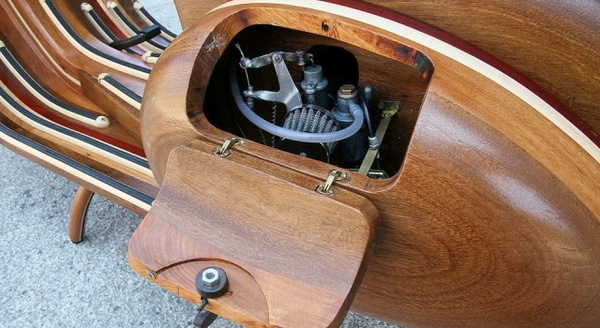 He dismantled the pieces of the old scooter and kept the engine, the suspensions and the wheels. 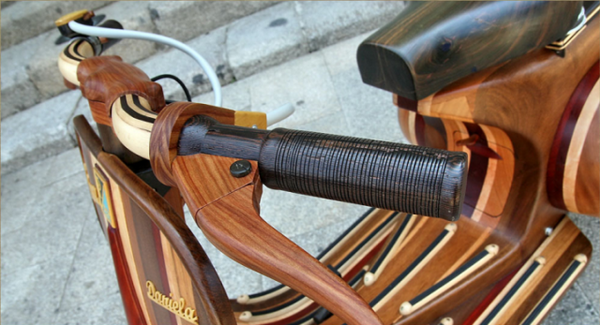 The bike was designed for his daughter Daniela and features a functional 50cc motor. 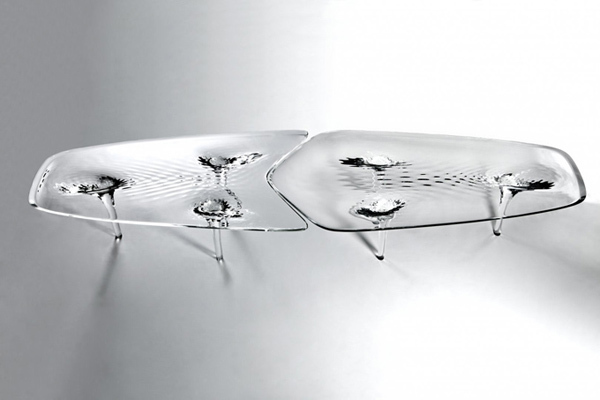 If you need something creative for your interiro then you should pay attention to this cool table designed by Zaha Hadid. 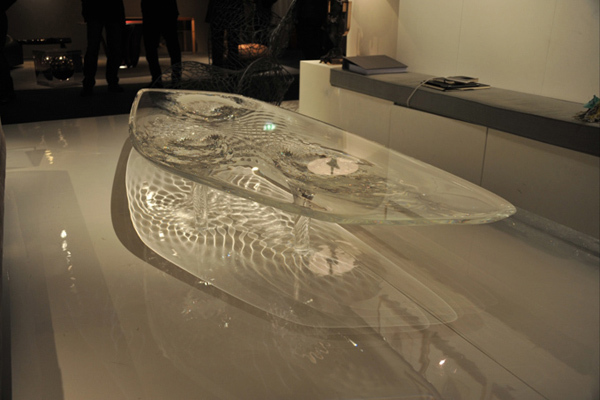 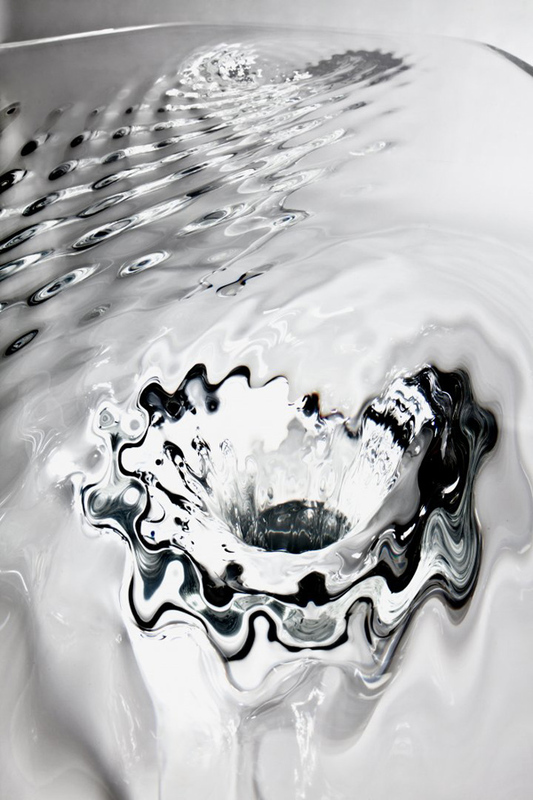 This masterpiece is called the the Liquid Glacial Table. 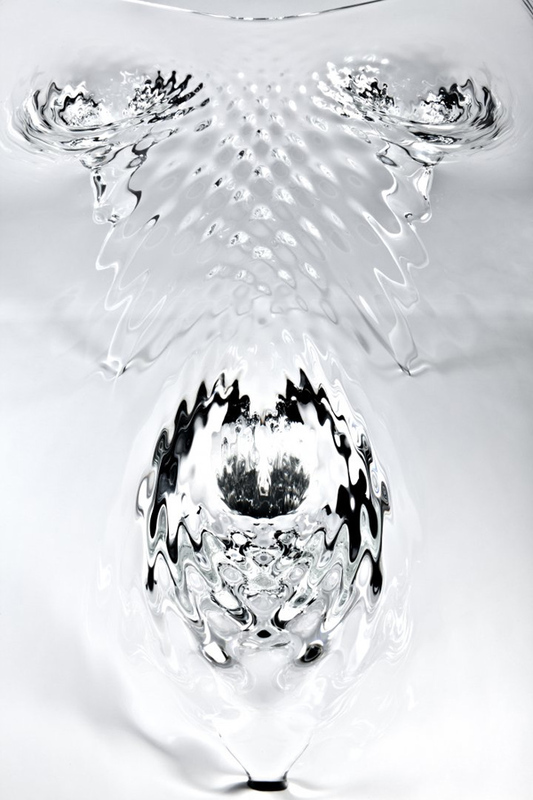 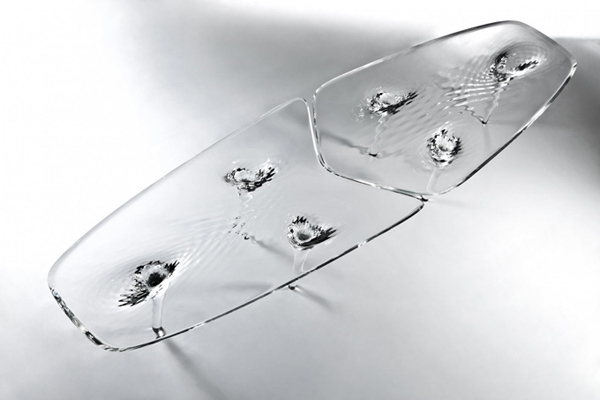 This piece of translucent, clear acrylic that resembles a small glacier, with incredibly beautiful legs that seem to be water vortexes, is truly bespoke and would easily be the focal point of your living room. 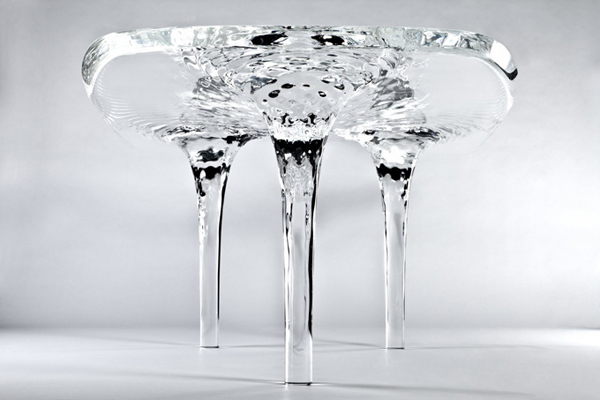 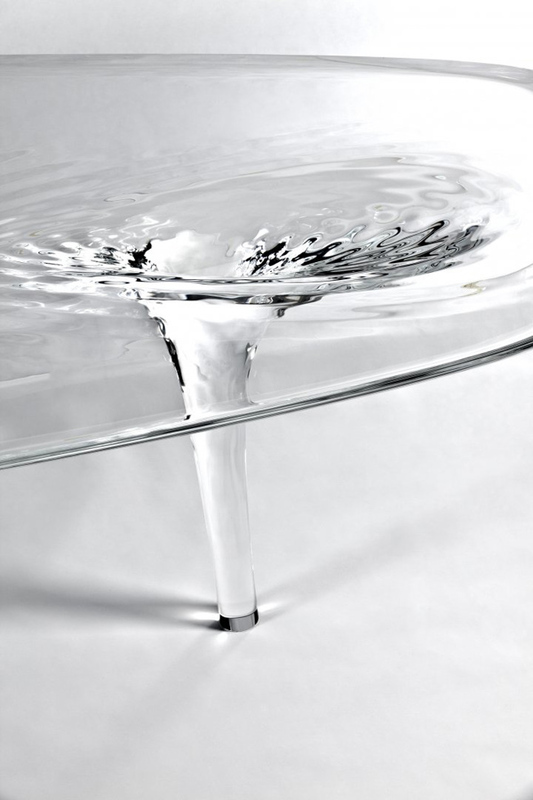 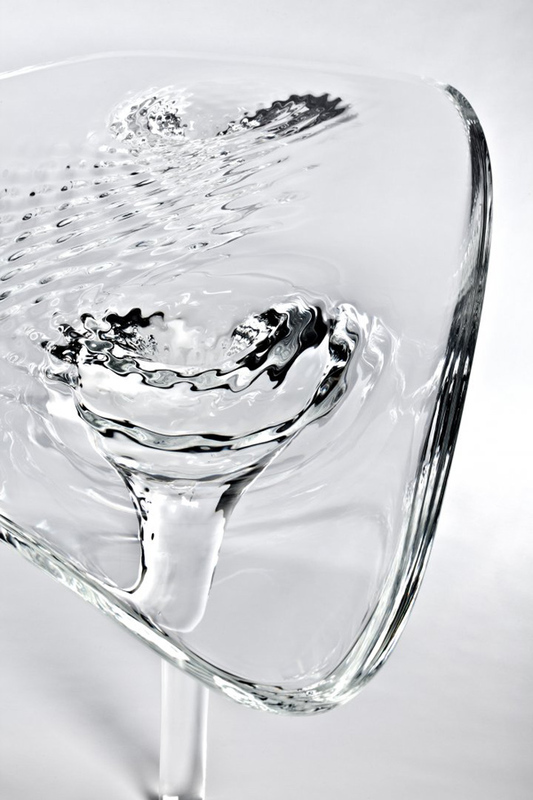 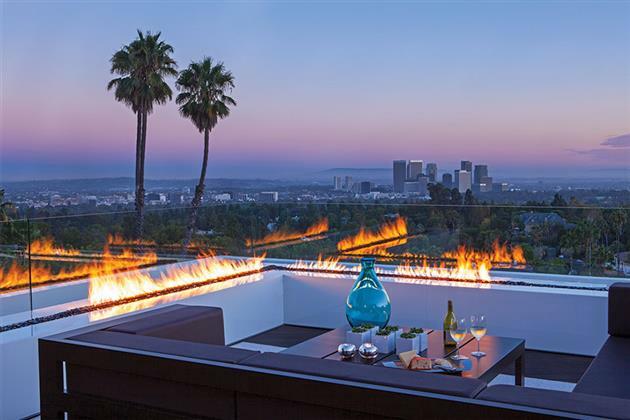 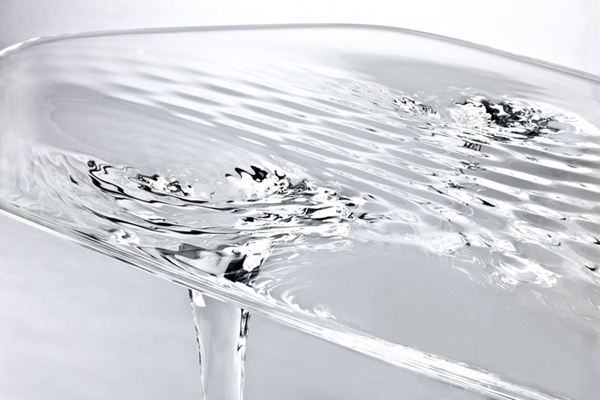 The designer managed to immortalize two important states of water, ice, as a solid, and water itself as a liquid in this chic and elegant table.